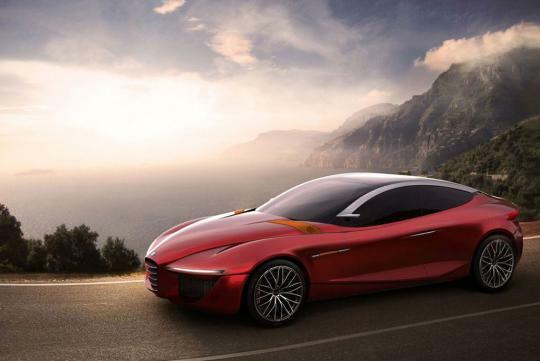 The Alfa Romeo Gloria concept, which will debut at the 2013 Geneva Motor Show, is said to be a preview of the new Giulia sedan that will go on sale in Europe, Asia and the United States in 2015. The Giulia sedan is the replacement of the Alfa 159 whose production ended in late 2011. The Giulia will be offered as a wagon as well. Measuring 4700mm long by 1920mm wide by 1320mm tall with a wheelbase of 2900mm, the Gloria concept is developed by students from the European Design Institute who were asked to create their vision of a sedan that would appeal to customers in North American and Asia. The new Giulia will have the longest wheelbase among models underpinned by Fiat-Chrysler's compact wide architecture. The Giulia will be an integral part of Fiat-Chrysler CEO Sergio Marchionne's plan to boost Alfa Romeo's sales to 300,000 units by 2016 from 100,000 in 2012.